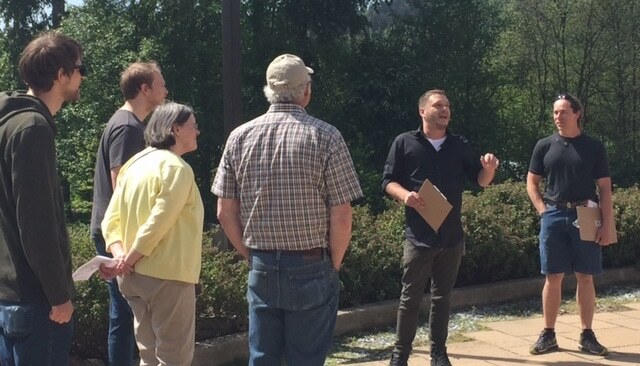 Join us for a Green Building Energy Tour at 21 Acres, held every first and third Saturday of the month at 11:00 a.m. Get a ‘behind the scenes’ look at the tools and technologies that 21 Acres’ LEED Platinum-certified building uses to ensure operational efficiencies. Understand real connections between clean energy, water, and food, and how they impact our environment, health, and economy. Take home suggestions for simple and important changes you can make to reduce the climate impact of your home or work. No reservations necessary. Please check-in at the lobby upstairs when you arrive. The tour is free, takes place mostly indoors, and lasts approximately one hour. All ages welcome.